This step by step guide will help you install any custom rom for Lenovo k6 power without any hassles. 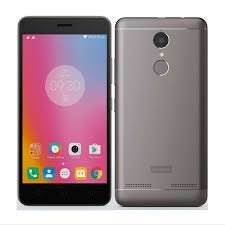 Lenovo k6 power was launched at November 2016 with android marshmallow and eventually received nougat update too in 2017 and that the last update to be delivered officially by Lenovo. With the world moving to android pie and android q is already slated to release this year you can cheer yourselves with unofficial port of Linegae os 15.1. Thanks to the efforts of XDA devs lineage os has been ported to Lenovo k6 power with all working features including VOLTE for JIO. The ROM is quite stable and can easily be recommended for daily use. The following guide has all the necessary tools to enable seamlessly installation of TWRP recovery and Custom rom on your device. The ROM is only for Lenovo k6 power don’t try for any other device. The following process will erase all your data in internal storage make sure that you take a backup. The device should be charge above 80% to avoid any unexpected shutdown. Download Lineage os 15.1 for Lenovo k6 power. Download Gapps package for pay store access ( recommended pico arm64). Download Lenovo USB driver for your device. Download one click installation files for TWRP and Bootloader unlock. To disable device security and install custom recovery you need to enable OEM unlocking in your device setting. Enable developer options in about phone. Install Lenovo USB driver on your pc. Copy the rom files to SD card. Connect your device to pc it will display an option to enable usb debugging for this pc( give permission). Use the downloaded files from unlock/lock.zip. Run unlock.bat it will automatically reboot your device and unlock the bootloader . Now run the Flash twrp.bat from TWRP.zip this will install TWRP recovery for your device. The device will now boot into twrp. Once you have booted into TWRP format device data and reboot to recovery once (this will delete all data on internal storage). Now select install and choose the ROM and GAPPS files you have placed in your sd cards and select install. Once the installation process is complete select reboot. The first boot of the ROM will take time just be patient and allow it to finish the process. Setup your device and enjoy pure android on your device.